Milan Fashion Week had been a hub for attracting fashionistas from all around the world throughout the year- however, it’s during the month of January and September when the streets of Milan become a fashion lover’s paradise - full of mesmerizing colors, customized outfits and hustle bustle of people one might have never imagined walking past them. 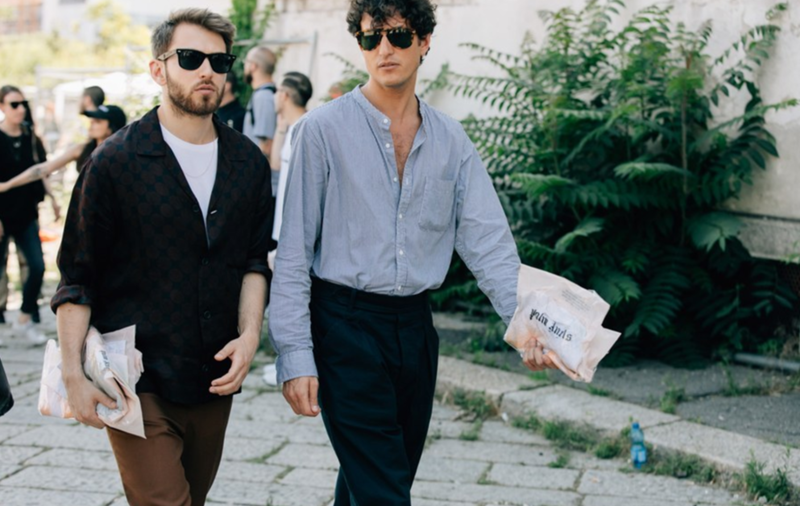 As a continuation of our series on Milan Fashion Week, we bring you some of the best street styles from Milan, enjoy! Glares, button down shirt and a pant to match the whole clothing line up. 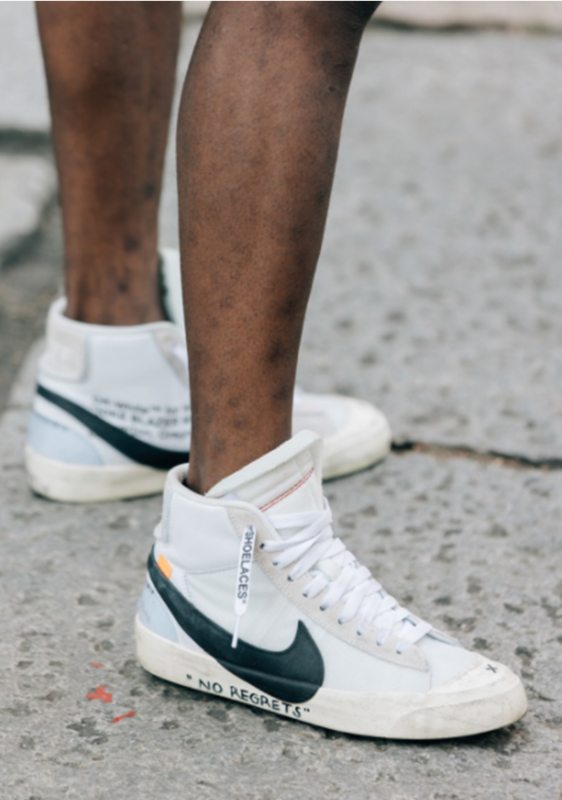 “no regrets” and shoe laces mentioned on Nike’s best selling shoes for the season, this man sure knew how to play it cool. 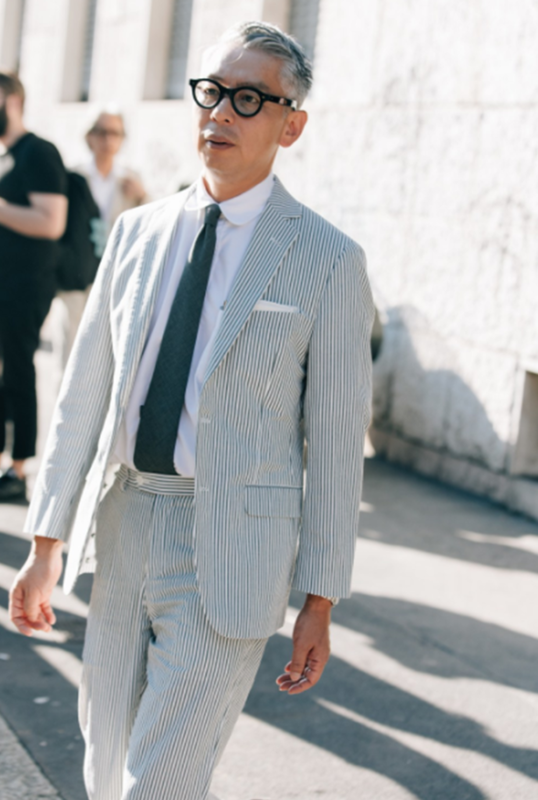 Tailored stripe suit in the most classical shade with the most epic black rimmed glasses – nowhere else but on the streets of Milan you will see such style and class. 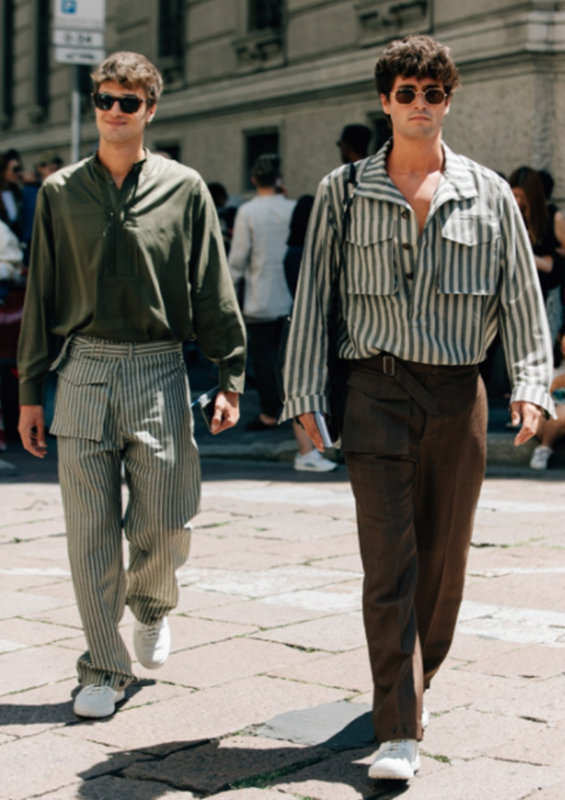 Twinning on the same fabric , alternating the use any how to make a style statement with Lennon glares and an oversized shirt with huge pockets. 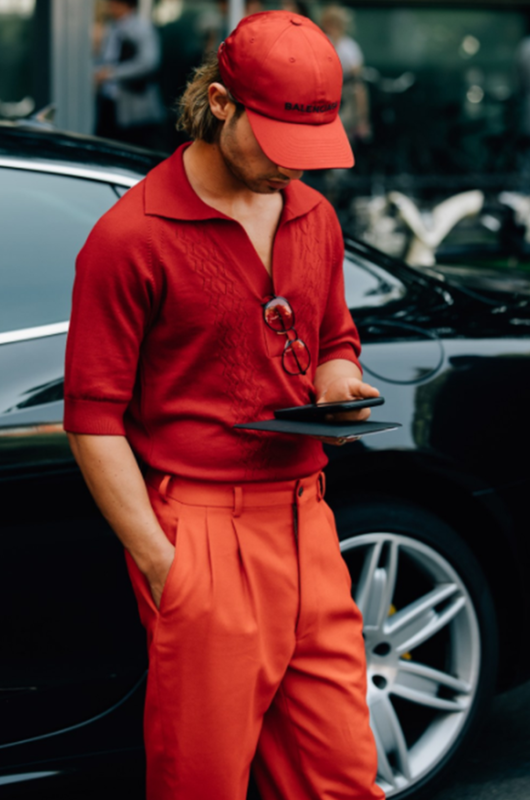 Burnt orange pant, tucked in oversized collar sweat shirt with the super classy and raging hot black rimmed aviators - that’s what street style is all about making a statement- in style- your style.